This Safari break is designed as a self drive, year round option for the wildlife enthusiast who would just like to experience the South African bush alone or with their partner. Although we recommend a 3 night break we can offer any number of nights as preferred. Makalali Conservancy is famous for its ground-breaking research on elephant contraception as a humane alternative to culling (killing to reduce population numbers). Considered one of the leading pioneers in ecotourism in South Africa, Makalali Private Game Reserve is home to over one thousand wild animals including Africa’s “Big Five”. Experienced guides will take you on open air game drives or on guided bush walks and introduce you to a whole new world of bush lore and animal habits. This 3 night / 4 day Safari at Makalali Game Reserve offers a unique opportunity for the wildlife enthusiast to experience the big five in the Makalali Conservancy – famous for its ground-breaking research on elephant contraception as a humane alternative to culling (killing to reduce population numbers). 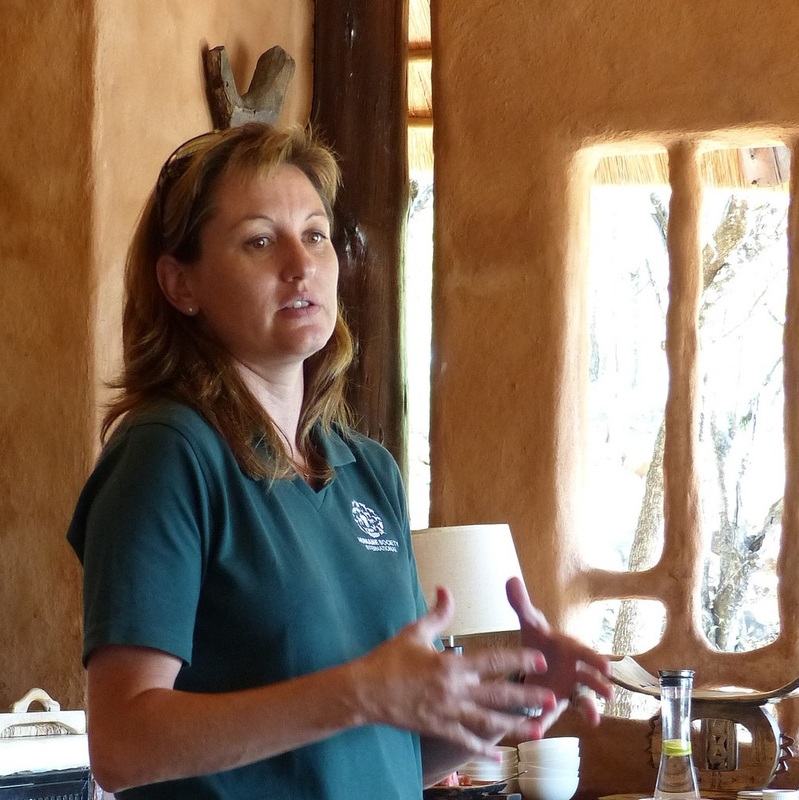 For groups we can arrange for our specialist guide – Audrey Delsink-Kettles to share her profound knowledge and her research with the resident elephant herds at Makalali. This is an experience that the elephant enthusiast does not want to miss and we can combine this Makalali experience as part of longer custom designed itineraries to suit the group’s requirements. You could encounter the “Big Five” and an abundance of wildlife and birdlife on your game drives which are conducted in open landrover’s twice daily. An experienced tracker will impart his knowledge of the bush, wildlife and birdlife to enhance your game drive. Coffee and rusks are provided on the morning game drives and guest can enjoy sundowners on the evening game drives. 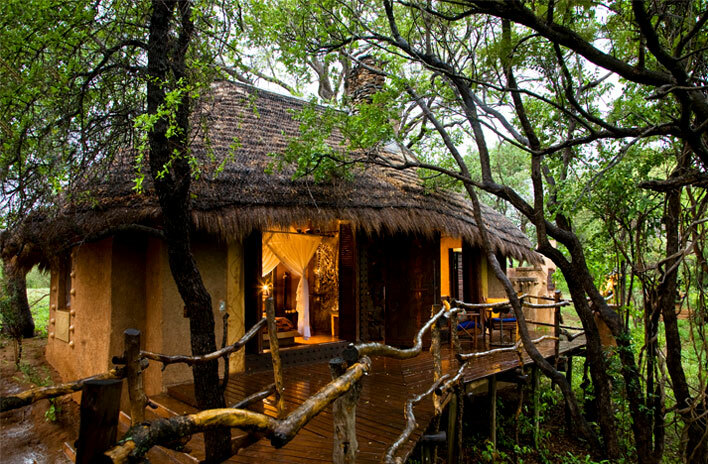 Accommodation at Makalali is in luxury Suites each with an en-suite bathroom plus an outdoor shower, fireplace and a raised, private, timber viewing deck (sala) set amongst the Jackalberry trees. Rooms are individually decorated in African design styles with sculptured metalwork lamp shades, taps and ceramic basins and Mosquito nets. Dining at Makalali is very casual and relaxed, but where the emphasis is on mouth-watering cuisine, which will tempt even the most jaded appetite. Resident chefs prepare a variety of African dishes, where the accent is on a fusion of flavours, from the popular South African ‘braai’ (barbeque) to the traditional potjiekos. You can also experience a traditional boma dinner, around a fire under the African stars or a delicious bush breakfast to start your day. Makalali, unlike most game reserves, is very child-friendly, and offers a range of activities and kiddies menu, aimed specifically at entertaining and caring for our younger guests. Makalali is situated in a malaria area and precautions are recommended. We recommend long sleeved shirts and trousers for game drives and the evening. Mosquito nets and insect repellent are provided in your room. We suggest comfortable, light clothing, walking shoes, sun hats and sunscreen plus a swimsuit in summer and warm clothing for game drives in winter. Situated in Limpopo Province near the foot of the great Drakensberg Mountain range and the town of Hoedspruit it is easily accessible by air or road from Johannesburg. 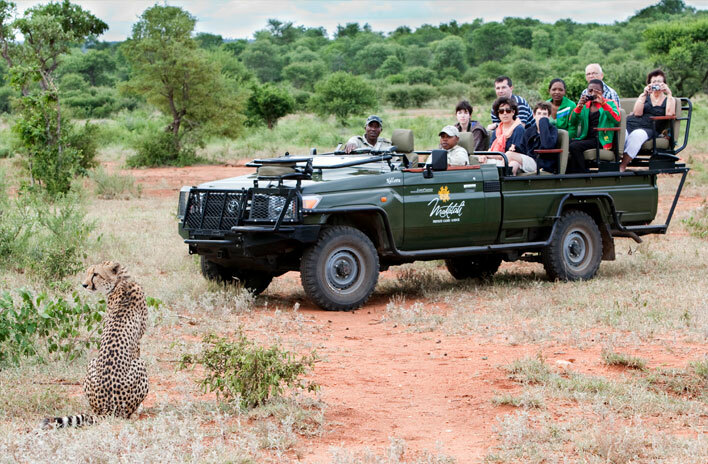 To book this Safari a deposit of 30% of the Tour Price is required at time of reservation. The Balance is due 60 days prior to arrival. – Less than 60 days prior to commencement of the tour – Cancellations will attract a penalty equal to 50% of the tour price. We cannot be held responsible for any guest traveling without insurance. We strongly recommend tour participants take out personal travel insurance.